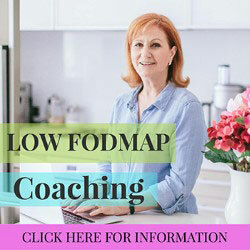 Cooking for a low Fodmap diet is no different from any other sort of cooking. If you were a good cook before the diet, you will be a good cook on the diet. If you weren’t, then you can certainly work on improving your skills to create tasty, family-friendly meals. 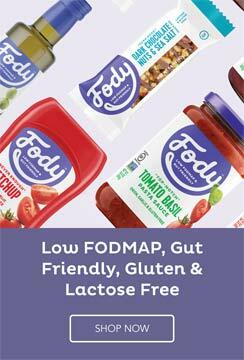 Until you are familiar with which foods are low Fodmap, keep a list in the kitchen that includes the permitted amounts for each meal. That will be your one true guide to keep yourself safe from IBS symptoms. Most herbs like parsley, coriander, thyme, rosemary, tarragon, basil etc. 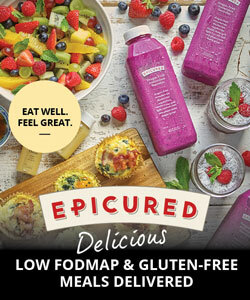 are permitted on the low FODMAP diet and they are a clean, nutritious way to add flavor. As a general rule of thumb, stick to no more than one tablespoon of fresh herbs in your serving, which should be easy to do since a full recipe seldom calls for more than that. Most of the main spices like cumin, coriander, turmeric, ginger etc have been tested and are low Fodmap. Stick to under one teaspoon for your serving. Around 1 tbsp soya sauce, Worcestershire sauce, fish sauce, barbecue sauce and mustard are all permitted. Always check your permitted list of foods for the exact amounts. Do make sure there is no onion or garlic in them. Use garlic-infused oil. The fructans in garlic, which is what hurts IBS sufferers, are not soluble in oil. The flavor of the garlic remains in the oil but none of the Fodmaps. However, make sure that you are not purchasing garlic-flavored oil or that any of the garlic has been left in the oil. The green part of spring onions and leeks are low FODMAP so can be used as a substitute. Some finely chopped up fennel can provide a boost to flavors when needed. Use those as a base to many recipes like stir-fries, stews, risottos or soups. The spice, asafoetida, also imparts an onion flavor but only add small amounts so as not to overpower the dish. Alternative flours don’t contain gluten, which is what helps a recipe stick together and creates a pleasant texture, so you need to use a combination of flours that imitates the effect of gluten as closely as possible. A combination that works well is 1.3 cups of rice flour to 1/3 cup potato starch to 1/3 cup of tapioca flour. For inexpensive flours, purchase them from an Asian store. Most store-bought stocks contain onion so the safest way is to make your own. Put a chicken carcass or chicken bones with a little meat left on them in a pot of water with a bayleaf, rosemary, oregano, cardamom seeds, coriander seeds, peppercorns, chopped up celery, carrot and the green part of spring onions, salt and pepper as well as 1 tsp of garlic oil. Boil this hard for an hour or more until the liquid has reduced down to make a good stock flavor. You can vary the herbs and spices to suit your palate. 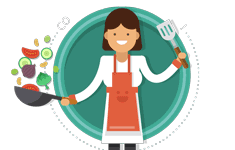 After a while, cooking low Fodmap meals will seem as normal as any other cooking. Be creative and have fun!